Health are the only healthcare consultancy included in the top 100 list. The awards organisers, Best Companies, highlighted the training and development available to employees, the positive and open communication from managers and regular events to bring teams together as just a few of the ways Cello Health has become one of the best companies to work for in 2019. 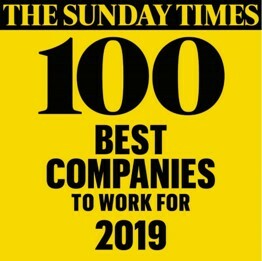 The Sunday Times Best 100 Companies to Work For is one of the most prestigious employer-related schemes in the UK, recognising the best small, mid-size and large employers.